SRINAGAR, India (AP) — As India considers its response to the suicide car bombing of a paramilitary convoy in the disputed region of Kashmir that killed dozens of soldiers, a retired military commander who oversaw a much-lauded military strike against neighboring Pakistan in 2016 has urged caution. A local Kashmiri militant rammed an explosive-laden van into a convoy bus on Thursday, killing 41 soldiers and injuring two dozen others in the worst attack against Indian government forces in Kashmir's history. India blamed the attack on Pakistan and promised a "crushing response." 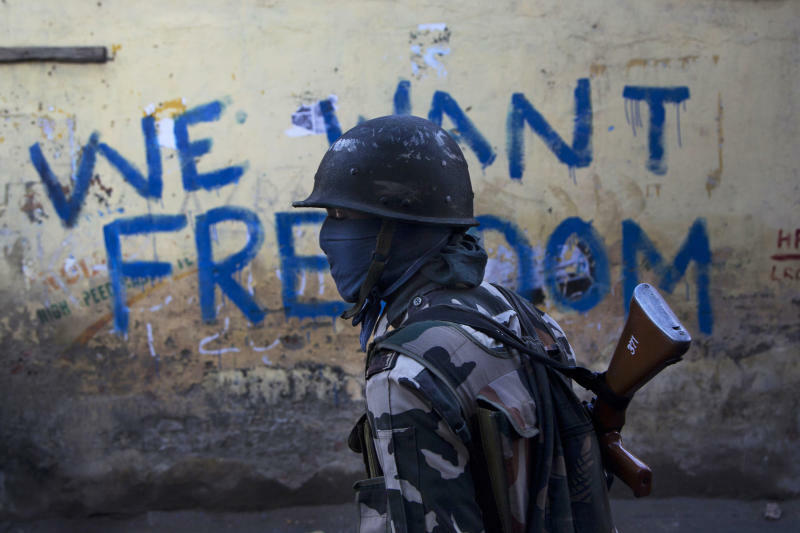 New Delhi accuses its archrival of supporting rebels in Kashmir, a charge that Islamabad denies. The retired commander, Lt. Gen. D.S. Hooda, told The Associated Press on Saturday that while "some kind of limited (military) strike (against Pakistan) is more than likely," he hopes for "rethinking and reconciliation" from all sides in the conflict. The former general, who was in charge of the army's northern command at the frontier with Pakistan in Kashmir and counterinsurgency operations, oversaw India's "surgical strikes" in September 2016 after militants attacked a military base in the frontier town of Uri near the highly militarized Line of Control. Nineteen Indian soldiers and three assailants were killed in that attack. India instantly blamed Pakistan for supporting the attackers, who New Delhi alleged were Pakistani nationals. At the peak of a 2016 civilian uprising triggered by the killing of a charismatic Kashmiri rebel leader, Hooda called for all sides to take a step back from the deadly confrontation, suggesting that political initiatives be taken instead. It was a rare move by a top Indian army general in Kashmir. 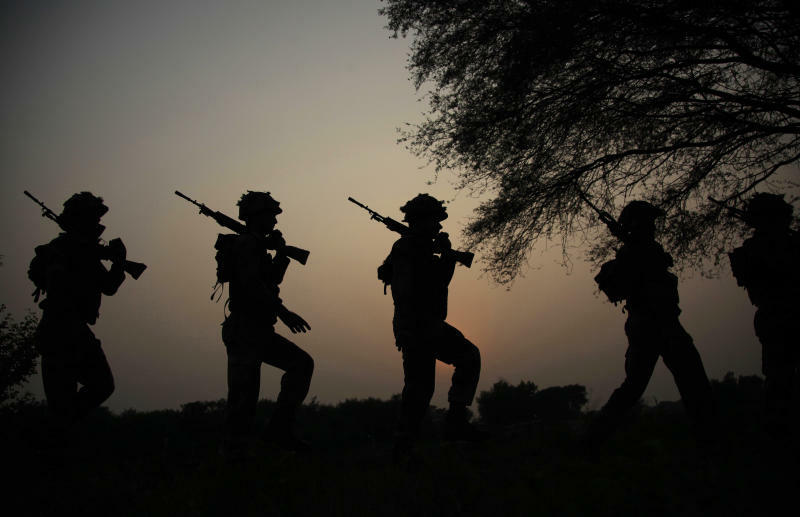 Later that year when the attack on the base in Uri happened, Hooda commanded what New Delhi called "surgical strikes" against militants in the Pakistan-controlled part of Kashmir — which India said involved the country's special forces killing an unknown number of insurgents. Pakistan denied that the strikes ever occurred, demanding that India produce evidence to back up the claim. Hooda has since said that the constant hype of "surgical strikes" was unwarranted. Pakistani Foreign Secretary Tehmina Janjua rejected India's allegations about Pakistan's involvement in the attack, saying Saturday that it was part of New Delhi's "known rhetoric and tactics" to divert global attention from human rights violations. According to foreign ministry spokesman Mohammad Faisal, Janjua called for implementation of U.N. resolutions to solve the issue of Kashmir. Kashmir is divided between India and Pakistan and claimed by both in its entirety. Rebels have been fighting Indian rule since 1989, demanding Kashmir be made part of Pakistan or become an independent country. 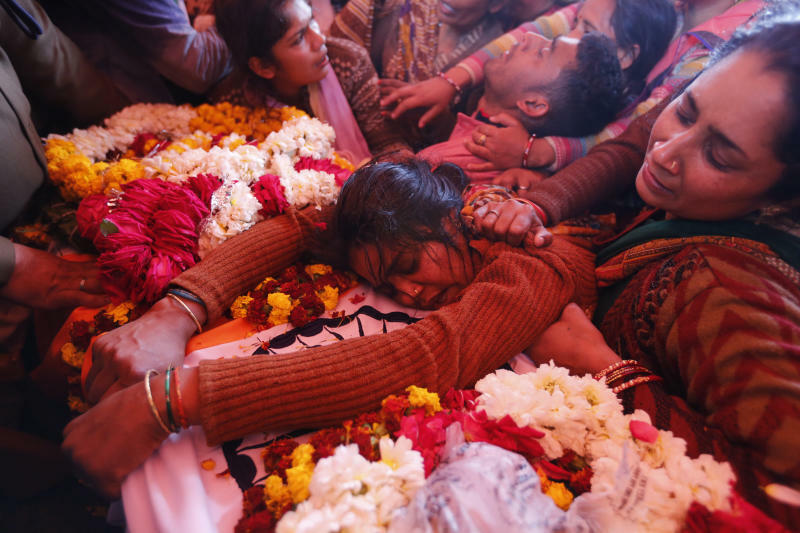 Nearly 70,000 people have been killed in the uprising and the ensuing Indian military crackdown. A pre-recorded video circulated widely on social media showed the purported attacker, Adil Ahmed Dar, in combat clothes surrounded by guns and grenades claiming responsibility for the attack and calling for more such measures to drive India out of Kashmir. Since 2016, soldiers from India and Pakistan have often traded fire along the frontier, blaming each other for initiating the skirmishes that have resulted in the deaths of dozens of soldiers and civilians on both sides in violation of a 2003 cease-fire accord. Hooda said that considering the state of affairs in Kashmir, he wasn't surprised by the bombing. "I just hope this all leads to some introspection, some deep thinking and engagement to do everything afresh and rethink what we all should be doing to settle issues once for all," he said.